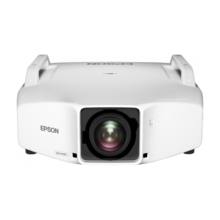 Even though its light weight and compact size enables it to be carried from room to room, the projector is capable of highly visible images thanks to its high brightness (up to 5,500lm) and superior 15,000:1 contrast ratio. Room lights don’t have to be dimmed to see bright and clearly projected images, allowing meeting participants to concentrate better for improved meeting productivity. In cases where the image extends beyond the frame of the screen or whiteboard you just have to push the “Screen Fit” button and the image frame automatically matches up with the edges of the screen. Split ScreenSplit Screen allows you to display content from two inputs simultaneously, side by side, on a single screen. With three layout options you can display video and presentation materials, and run video on both screens. EasyMP MonitorWith EasyMP Monitor, Epson’s network monitoring and control software, a single PC can see which projectors are available and if they are running efficiently, even across the biggest of networks. This series can be configured remotely, with instant email alerts for pre-defined critical indicators such as non-functioning devices or overheating lamps. 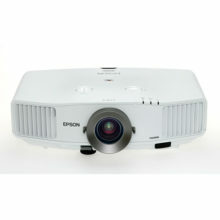 Each projector’s serial number can also be accessed remotely via LAN/serial connection. The EB-2000 series projectors now include ‘WPA-Enterprise security’ mode to connect in robust integrated network environment; compatible with WPA, WPA2-PSK and WPA2-EAP security protocols. Bring sharp images and bright colours to any meeting room with our super-bright new business projector, which offers an outstanding brightness level of 5,000 lumens and XGA resolution. 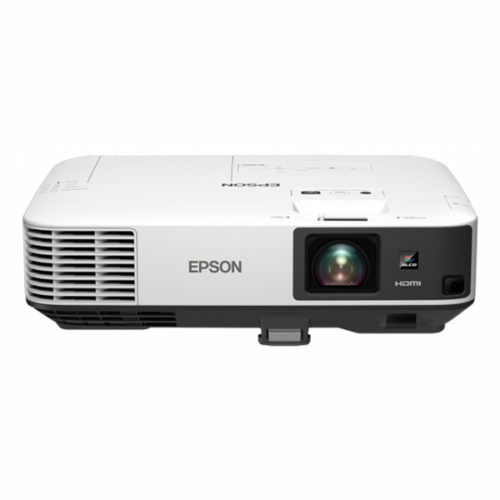 The EB-2055 is designed to project a scalable image up to a massive 300 inches, and offers stream and share wireless connectivity using Epson’s Multi-PC projection or the Epson iProjection App. 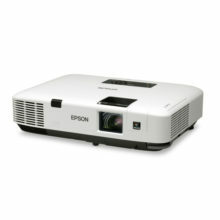 Epson’s 3LCD technology ensures high-quality content has more vivid colours and brighter images. HDMI connectivity guarantees sharper and clearer content, even at the maximum image size of 300 inches. 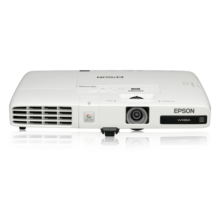 The EB-2055 offers stream and share wireless LAN connectivity using Epson’s Multi-PC projection or our Epson iProjection App and two HDMI connections. Setup is easy too, thanks to features including auto-power-on, focus help, keystone correction and screen fit – allowing the user to deliver presentations quickly and effectively. The home screen offers quick and easy access to a variety of useful functions, such as connection sources. Wireless connections can also be made easily using the information on screen. 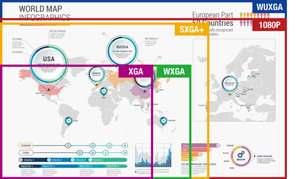 The Multi-PC projection software bundled with the EB-2055 makes it possible to connect up to 50 computers and partition the screen for split screen projection capability – offering far better cost-effectiveness and flexibility than a flat-panel display.